April 5, 2018 October 10, 2018 - by DeccanOdyssey - 5 Comments. The beauty of Rajasthan is because of its diverse culture and nature. On one end, you can enjoy camel safari and sand dunes for an Arabian Night styled desert vacation. On another side, the place is rich with abundant wildlife, natural resource, lush vegetation and exotic animals. Top it all, the state also holds a hill station, Mount Abu. Beyond these, the culture and cuisine of the land make you feel special throughout your vacation. This is the reason to why many luxury trains including the leading Deccan Odyssey cover Rajasthan as a part of their itineraries. Are you looking for a vacation spot for your Indian trip? 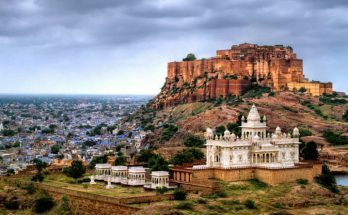 Here are ten specific reasons to why you should choose Rajasthan over any other state in the country. When it comes to sightseeing, the state is endowed with numerous ancient and medieval palaces, forts and much more. Do you know that Jaisalmer fort was built to create a camouflage in the middle of the desert to surprise invading enemies? Each architectural beauty is loaded with rich history and interesting anecdotes. It is important to find the right guide to help you explore these structures. Sightseeing is not just about man-made beauty. You can find numerous lakes, streams, bird watching at Keoladeo Park, fossil park, Mandore gardens and much more. If you love nature, there are hundreds of places to visit and enjoy. Although an iconic desert state, Rajasthan is not scarce of wildlife and vegetation. Among the top wildlife attractions in India, Ranthambore National Park of Rajasthan perches the list. This park is also an important destination in many luxury trains including Deccan Odyssey. 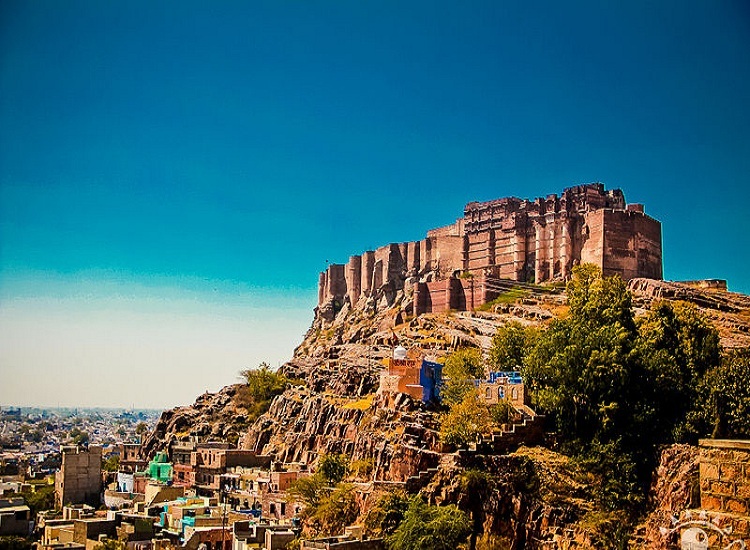 Apart from this, you can find Sariska national park, Kumbhalgarh Wildlife Sanctuary, National Chambal Wildlife Sanctuary, Desert National Wildlife sanctuary and many others. Luxury is not just about choosing Deccan Odyssey for your trip to Rajasthan. If you wish to stay back in the state, you have an option to stay like the kings of the yesteryear in heritage hotels. These hotels are modified ancient forts and palaces. You can enjoy the same decor and hospitality throughout your trip. Even if you are not ready to spend the whole vacation in the heritage hotels, you can visit for at least one romantic dinner experience at Taj Lake Palace. 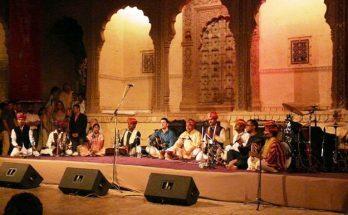 Some choose to visit Rajasthan right in the time of festivals and events to enjoy the culture of the land like folk dance, music performances, puppet shows, fire dance, belly dance, elephant polo, camel races, Ghoomar dance and many others. Some visit Rajasthan to be a part of the camel fair of Pushkar to enjoy camel beauty competition, turban competition, camel race, camel trading and others. If you are not able to time your vacation with festivals, choose Deccan Odyssey. The train’s itinerary includes a day of enjoying the local culture of the land. Safari and camping is not just for wildlife attractions. You get to visit the sand dunes, enjoy an exotic night in a tent or camp under the starry sky. 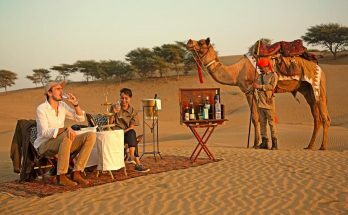 Some choose to enjoy a cool dinner in the middle of the desert just like the ancient kings of India. If you are not a desert person, you can enjoy wildlife safari on camels or horseback riding. Mount on the back of an elephant and enjoy Amer fort. During festival seasons, you can paint the elephants, watch them play polo and play with elephant cubs. Rajasthan is all about getting you closer to animals. 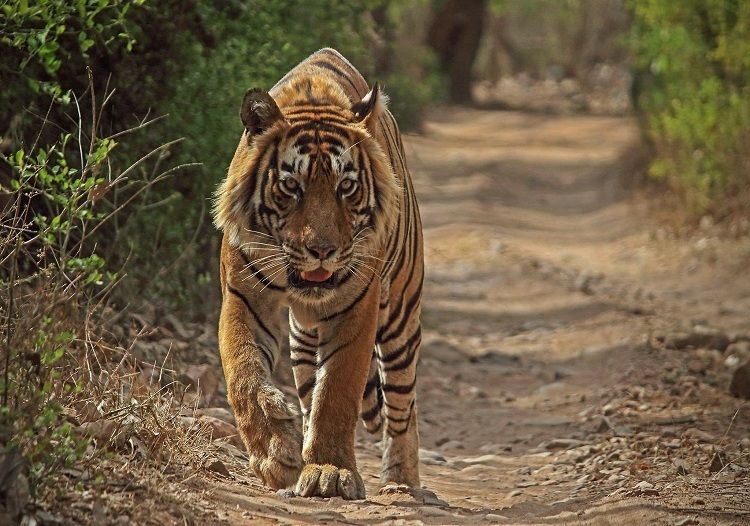 Sawai Madhopur is the one of the famous destinations for wildlife tour in India. Cuisine of the land is an important reason for visiting the state. The vegetation of the state is scarce and people had to maintain on the food that grows excessively in the soil of the region. 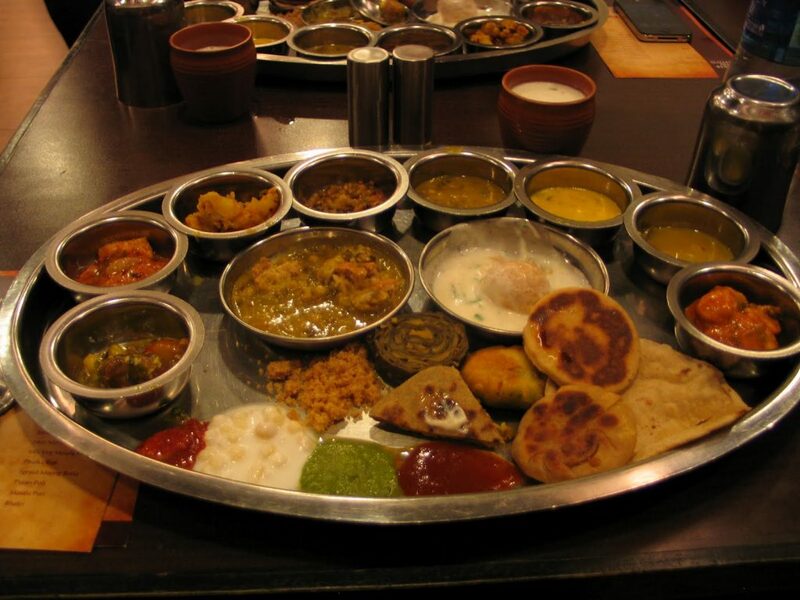 This is why you can find many spices in their cuisine and most of the styles of cuisines of Rajasthan focuses more on meat. In regions where livestock are common, you can find rich sweets made with ghee and cow’s milk. You ought to try the authentic cuisine of the land.If you are travelling with Deccan Odyssey, you can enjoy meals made with fresh ingredients by the signature chefs of the train. If you visit during festival season, you can find many rare dishes of sweets and savory here. Rajasthan is the best place for souvenir shopping. You can buy spices, camel leather articles, colorful textiles, footwear, puppets, marble articles, handicrafts and much more. Each city has a busy market that attracts tourists for enjoying sightseeing and shopping. Many luxury trains including Deccan Odyssey dedicate an evening or two for market tour and shopping. 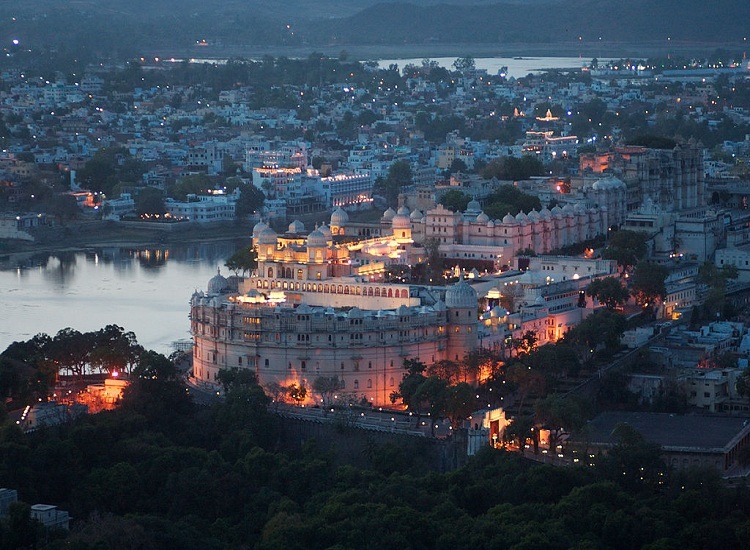 You can enjoy shopping at iconic places like Jaipur, Udaipur and others. When it comes to a desert region, the only disadvantage is that you might not get many water activities. With a trip to Rajasthan, you can enjoy ferry rides on Lake Pichola. This is one of the romantic activities at the time of honeymoon to enjoy in Rajasthan. A sunset ferry ride is an important honeymoon activity for tourists. You can also enjoy many other lakes in Udaipur for boating and natural sightseeing. You can also experience luxurious stay in famous resorts and hotels of Udaipur. Another beauty of Rajasthan is the exotic list of adventure activities. In the desert, you can enjoy many wild adventure activities like paragliding, quad biking and others. Hot air ballooning, zip-line, rock climbing and camping are some of the numerous adventure activities to enjoy in Rajasthan. If you are willing to enjoy Rajasthan in a luxurious way, choose Deccan Odyssey’s itineraries like Indian Sojourn and Indian Odyssey.